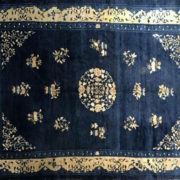 Fine carpets have long symbolized wealth, status and majesty. King Henry VIII of England, for example, not only graced his walls, tables and cushions with precious Turkish weavings. In his famed portrait by Hans Holbein, the monarch actually stands on one. 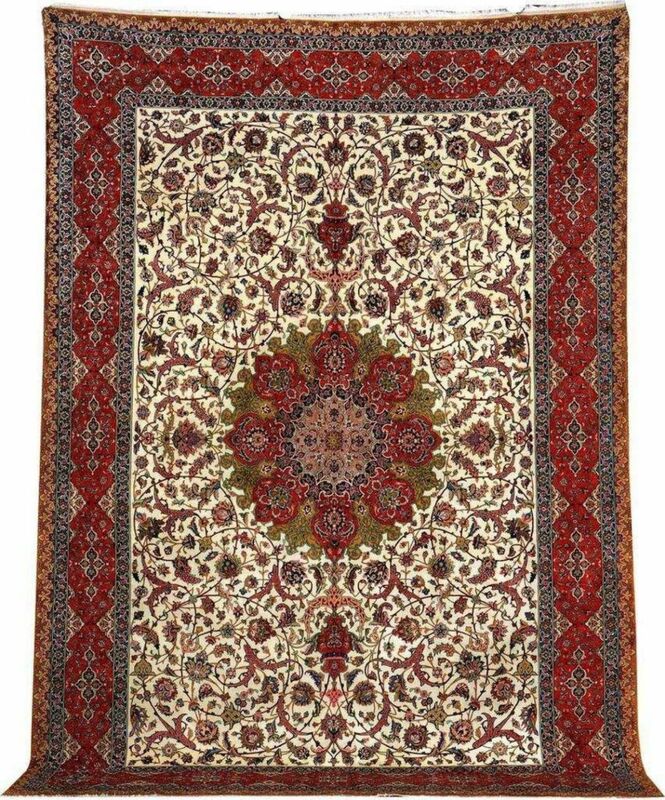 Though Persian carpets first reached Europe in the 16th century, most on today’s market date no earlier than the mid-1800s. Their creators not only employed age-old methods of design, dyeing and weaving. Like their forefathers, they also had access to high-quality, moist, glossy sheep fleece. These works of art were woven on traditional handlooms featuring horizontal silk, cotton or wool strands, called wefts, along with adjacent vertical strands, called warps. 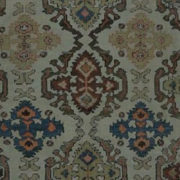 Interweaving warps with dyed wefts produced patterned flat-weave carpets. Tying dyed, single-looped knots between the wefts, then compacting and cutting them, produced patterned pile-carpets, those with perpendicular surface yarns. Since this looping process was so time consuming, creating a narrow runner might take months. Creating a room- or palace-size piece might take years—even if worked by teams of weavers. 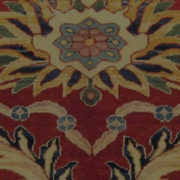 Characteristics of Persian carpets, like designs, color combinations and knotting techniques, are often specific to certain towns, villages or tribal regions. These are named for their ethnic creators or places of origin. 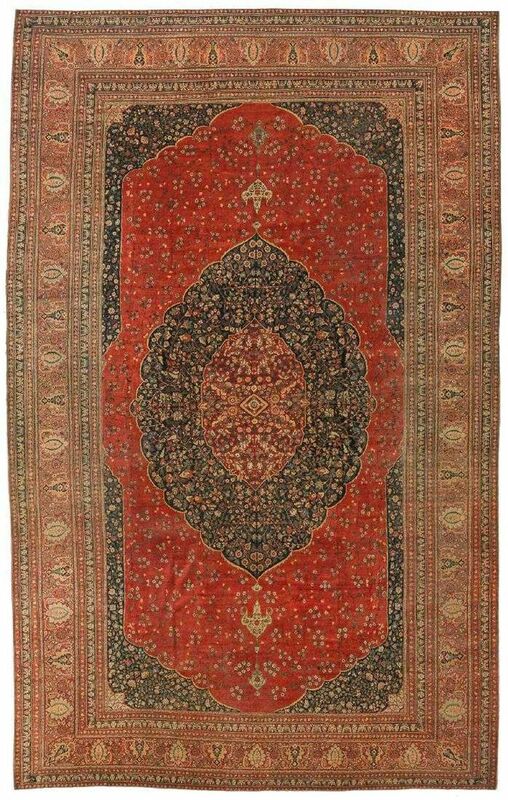 Carpets produced in Tabriz, one of the oldest weaving centers in modern-day Iran, however, are among the finest. Whether simple or complex, geometric or pictorial, pale or vivid, pile or flat-weave, all feature harmonious, formal designs, balanced use of color and exceptional quality. Many depict delicate, detailed, overall repeating patterns of stylized palmettes, vines, florals or arabesques framed by dominant borders in complementary shades and patterns. Others feature round, ovoid, pendant, blossom, star or diamond-shaped medallions filled with kaleidoscope-like bouquets of flowers. These dominant forms, set against rectangular fields of overall floral motifs, may be flanked by bold, rectilinear outlines or complimentary architectural, artistic adornments. Whether wool or silk, they are edged by geometric or floral work borders in varying widths and complexity. 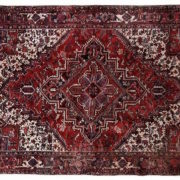 While the usual measurement in judging the quality of a Persian rug is knots per square inch, Tabriz pile carpets are traditionally rated according to raj, a term that indicates their knotted density. 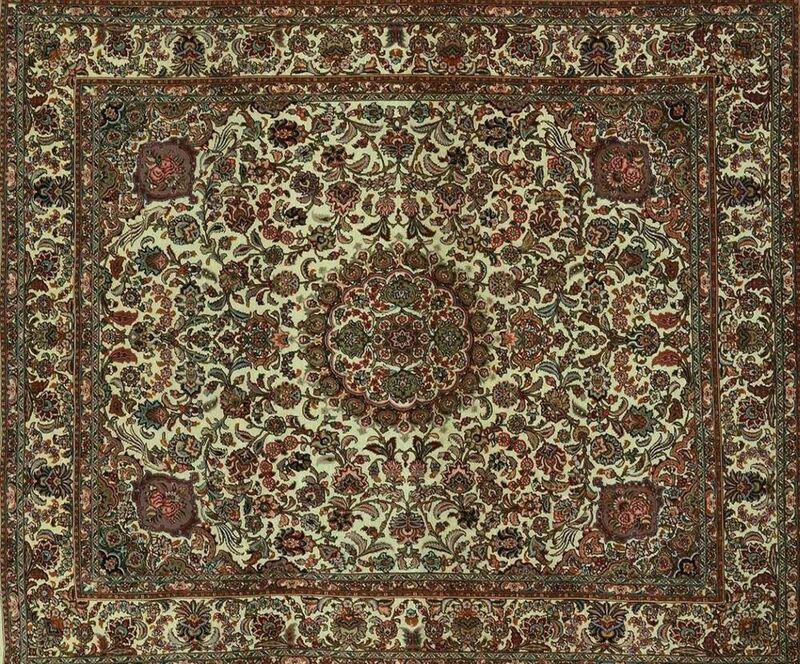 Raj represents the number of knots across 2¾ inches (7 centimeters) of a Tabriz rug. Pieces labeled 40 raj, for example, feature some 400-500 knots to a 2¾-inch span, 50 Raj feature 500-600 knots, 60 raj feature 600-800, and 70 feature 800-1,000 knots. Because carpets with high-knot densities allow exquisitely minute detail and shadings, they often display attractive, intricate designs. 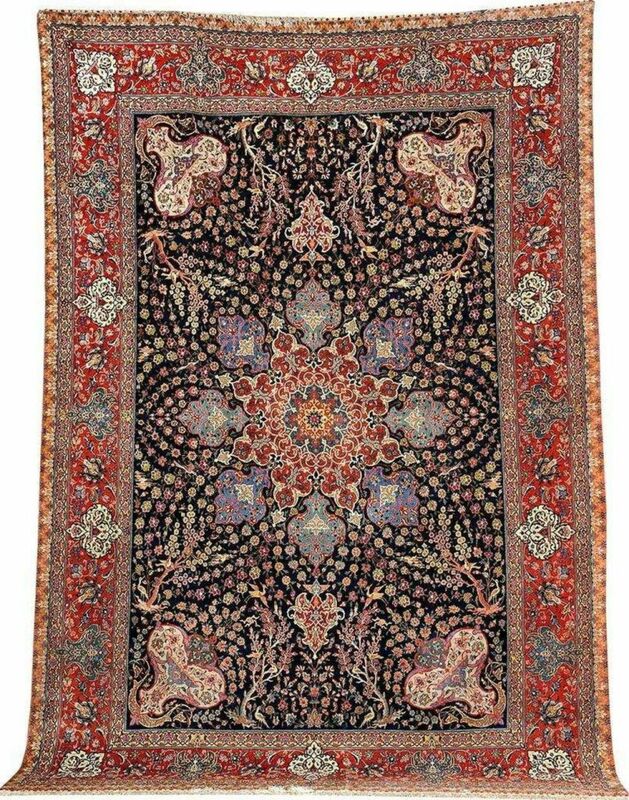 Carpets with exceptionally high knot-density, like those by Haji Jalili, a master weaver and innovative designer based in the Tabriz region in the late 19th century, feature exquisitely detailed motifs and hues in traditional, curvilinear patterns. Moreover, some say, they shimmer like fine porcelain. 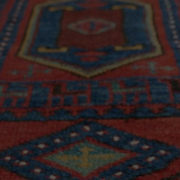 Jalili’s carpets are famed for exceptional craftmanship, finest vegetable dyes and exceedingly lustrous materials. 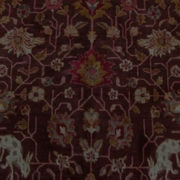 Many, instead of classic Tabriz deep reds and blues, feature distinctive, finely drawn overall design elements in pale gold, gray or pink palettes, some with traces of indigo blue. These are often set against subdued ivory, wheat, terra-cotta or sand-colored fields scrolled with subtly toned vines and arabesques. 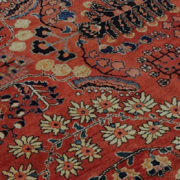 Other Jalili rugs feature surprisingly bright, vibrant central medallions against muted, flowered fields. Though Haji Jalili, or his workshop, created masterpieces in limited numbers, various sizes occasionally appear on the market. Since many tend to vanish into private collections, however, they are increasing difficult to find. 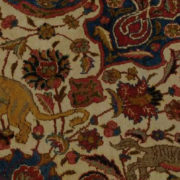 While rarity is important in evaluating an antique Tabriz carpet, its designer, pattern, color palette, uniqueness, dye source, knot density, age, condition and size also affect its worth. Though these carpets may prove costly, they are finite in number. So, as time goes by, each tends to hold or even increase in value. As a result, many collectors, decorators, dealers and private clients treasure these creations as long-term investments. 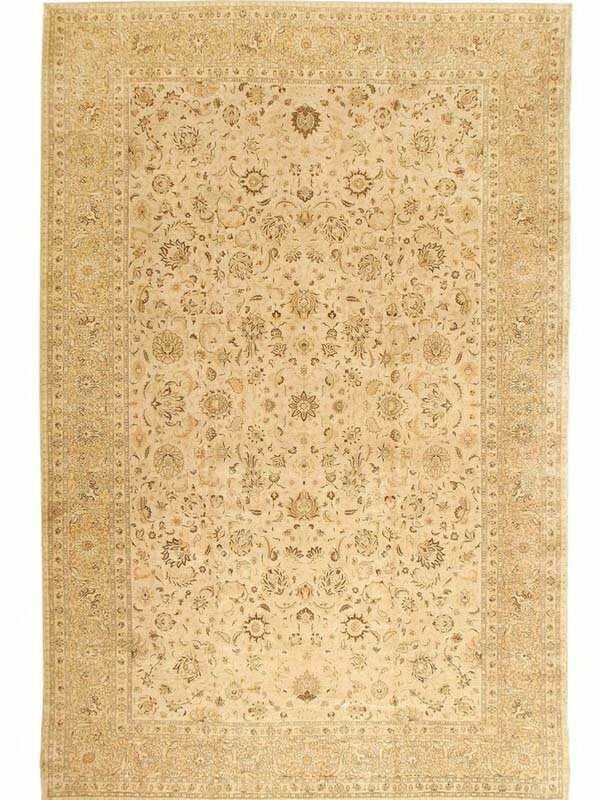 Moreover, Tabriz carpets, like fine paintings or other works of art, are exceptionally beautiful. Those who appreciate their fascinating blend of art, culture and design find that they enhance all decors. Many, as of old, display them on walls, or draped across sofas, chairs, or tables. Others, like royalty, place them beneath their feet.